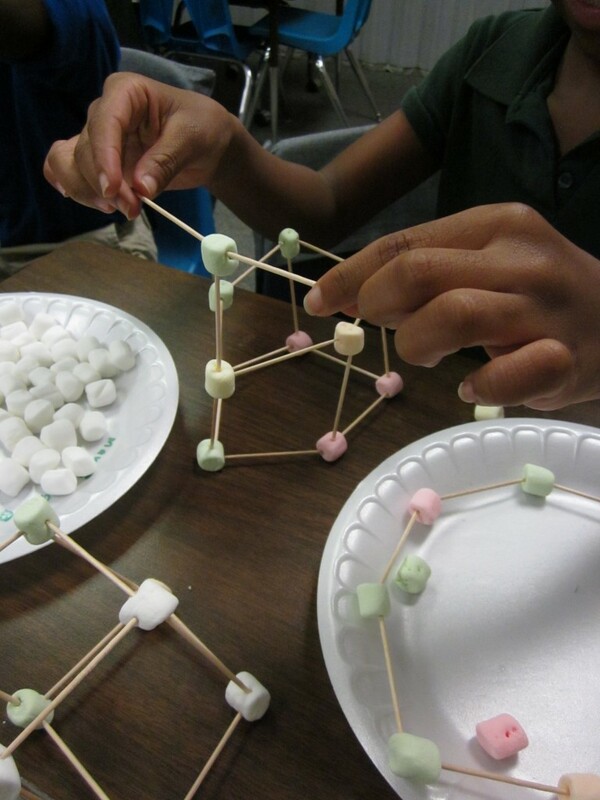 Learning about sides, vertices, edges, and faces is so much fun when we use marshmallows! We started by building 2-dimensional figures like triangles, squares, pentagons, hexagons, and octagons. 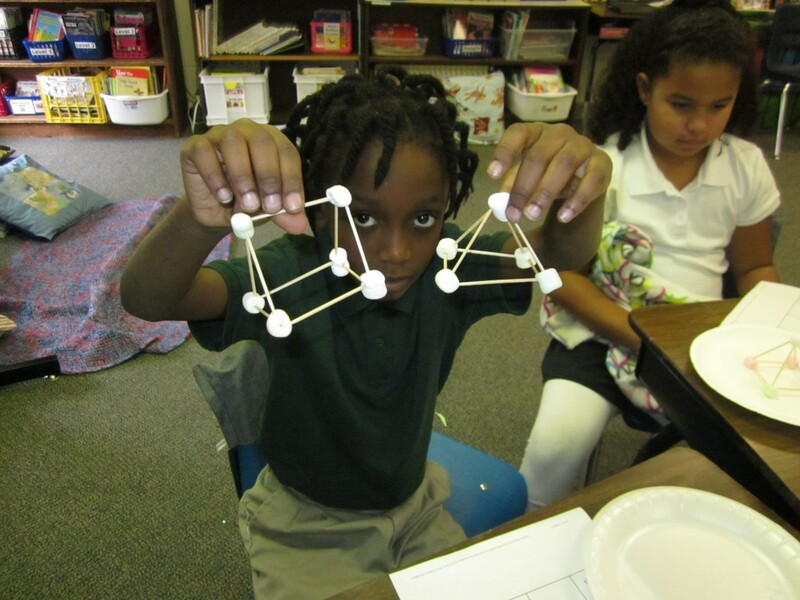 From there, we built prisms and pyramids by adding more marshmallows and toothpicks. This is a great hands-on activity that allows the students to explore and compare the attributes of 2-dimensional and 3-dimensional shapes. Students will have to "visualize" the faces and they will also discover that they are unable to make a rectangle or rectangular prism because the toothpicks are all the same size. Small straws or stir sticks could be used to make these shapes. Fun, creative, and hands on! PERFECT!